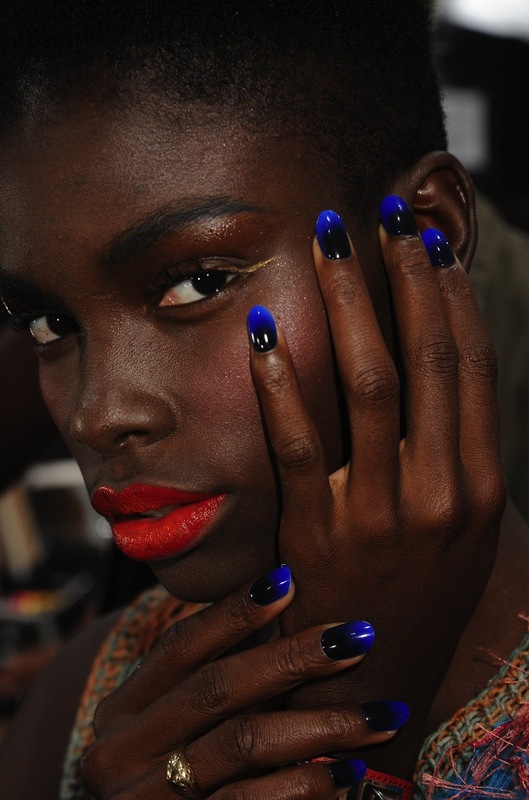 As soon as I saw the pictures from CND's press release for Jen Kao Spring 2011, I was in love with the neon blue + black gradient nails. I tried to duplicate them to the best of my ability. 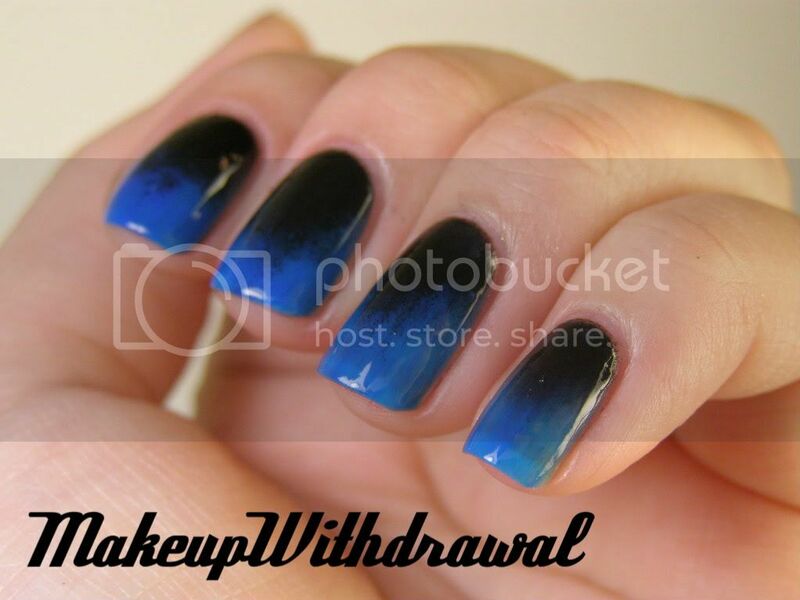 I don't have rounded nails though and used what I had- Funky Fingers 220 Volts and Wet'n'Wild Black Creme. Happy Thanksgiving (to those that celebrate it)!